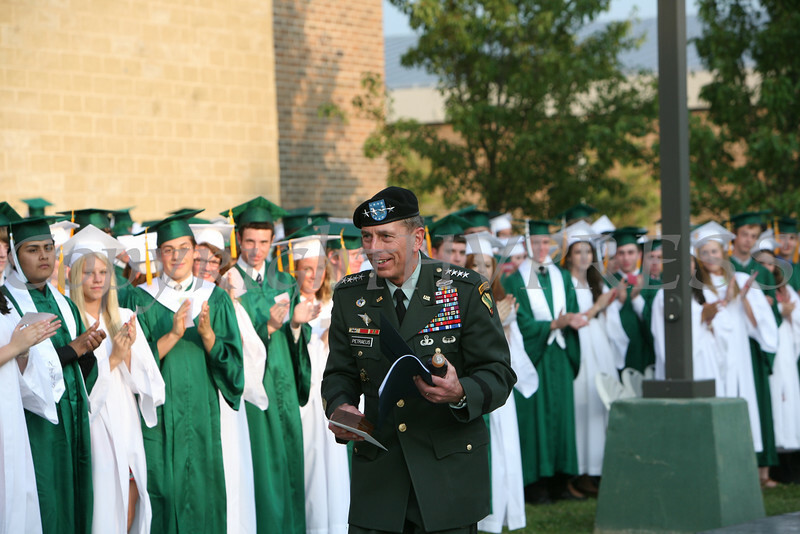 General David H. Petraeus receives a standing ovation following his graduation address at Cornwall High School's 56th Annual Commencement on Friday, June 25, 2010 in Cornwall, NY. General David H. Petraeus gave the keynote address. Hudson Valley Press/CHUCK STEWART, JR.